This entry was posted in Comments about Cycling on February 24, 2017 by Steve Tilford. 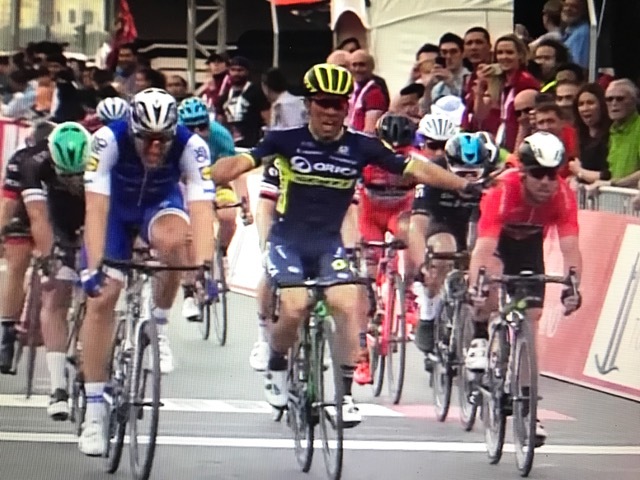 Little too excited for Caleb Ewan today in the Abu Dhabi Tour. Not a good way to not win a race. Especially for a sprinter type. Video below. When I have a problem with premature celebration, I do math problems or think about baseball. The only way that gets better is if Ewan augers in. He’s a kid – one who’ll never make this mistake again? But than again, one would think this would never have happened to a seasoned veteran back in 2004 at a VERY important race? This ever happen to you Steve? Or have you profited from some dopey sprinter celebrating too early? I’m sure you’ve at least seen it in a race. Would love to hear some stories.